Barb stuckey has been A food industry professional for 20 Years. Barb spent her formative years in a Chinese restaurant her best friend’s parents owned in suburban Baltimore. There she absorbed a love of the restaurant business through the pores of her skin as she did the sweet, oil-born aroma of fried eggrolls and shrimp toast. After college, Barb learned the foodservice business from the vantage point of Kraft (then General Foods) Foodservice, Brinker International (the company that operates Chili’s, Macaroni Grill, and Corner Bakery), and Whole Foods. She later earned a graduate degree from Cornell University’s Hotel School. Barb is currently Executive Vice President of Marketing & Sales at Mattson, the country’s largest independent developer of foods and beverages for the chain restaurant and retail foods industries. 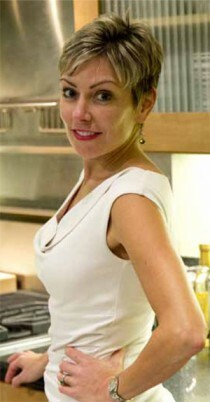 Barb is known as a food trend, innovation, consumer insights, and product development expert. Throughout her career, Barb has written articles for journals such as The Morning Cup, an industry newsletter distributed to 6000+ food industry executives, and Culinary Currents, the newsletter of the Research Chefs Association. She’s also written opinion pieces for the San Francisco Chronicle and a Q&A column for Chow Magazine (now Chow.com). In 2008 Barb was awarded co-authorship of the opening chapter, The Business of New Product Development , of the first textbook to be published by the Research Chefs Association. When published in 2013, it will be called Applied Culinology®: The Blending of Culinary Arts and Food Science & Technology in Food Product Development. Barb’s daily job at Mattson requires her to taste food and figure out how to make it better. After more than a decade of doing this, she’s honed her tasting skills and her ability to help others make food taste better. She has shared this insight with the world in her first book, Taste What You’re Missing, published by Simon & Schuster in hardback in March, 2012 and paperback in March 2013 (under the simplified title Taste). It was the first book about the science of taste written for the general public. Barb lives with her fiancé and splits her time between San Francisco and Healdsburg, in the heart of Sonona wine country.